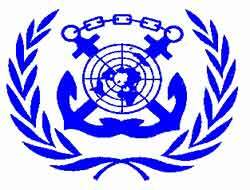 Today (March 17th) marks the 50th anniversary of the entry into force of the convention that established the International Maritime Organization (IMO). 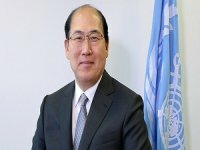 The past 50 years have seen the adoption, by IMO, of no less than 50 international conventions and protocols, covering maritime safety and security, prevention, reduction and control of pollution (both marine and atmospheric) from ships, liability and compensation, preparedness for and response to maritime accidents, and other issues including facilitation of maritime traffic and salvage. This comprehensive body of international conventions and protocols is supported by literally hundreds of other measures such as codes, guidelines, recommended practices and so on. 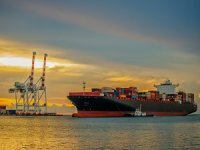 Between them, they influence almost every aspect of shipping and ship operation, including ship design, construction, equipment, operation, maintenance, manning and eventual disposal - literally, from the drawing board to the scrapyard. 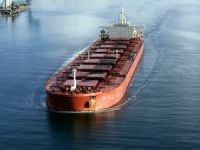 The most recently adopted treaty was the Nairobi International Convention on the Removal of Wrecks, 2007, while a diplomatic conference is being scheduled for 2009 to adopt a new treaty on ship recycling. 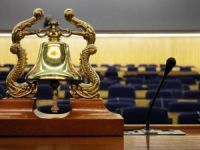 The IMO Convention was adopted on 6 March 1948 at a conference held in Geneva, under the auspices of the United Nations, which also set up a Preparatory Committee of 12 Members, charged with functioning until the first regular meeting of the IMO Assembly. These 12 Members comprised (in alphabetical order): Greece, the Netherlands, Norway, Sweden, the United Kingdom and the United States (representing nations with the largest interest in providing international shipping services); and Argentina, Australia, Belgium, Canada, France and India (representing States with the largest interest in international seaborne trade). The conditions for entry into force of the IMO Convention - 21 States, of which seven had to have not less than one million gross tons of merchant shipping - were achieved with the deposit by Japan of the 21st instrument of ratification on 17 March 1948. IMO has now been shaping shipping for half a century, responding to ever-changing needs to achieve its mission objective of ''Safe, Secure and Efficient Shipping on Clean Oceans''. Today, the Organization remains one of the smallest UN specialized agencies, headquartered in London, with a modest annual budget and a total of around 340 staff in the Secretariat. As befits a UN agency, there are many different nationalities represented on the staff, in six divisions: Maritime Safety, Marine Environment, Legal and External Relations, Technical Co-operation, Administrative and Conference. Unusually for a UN agency, the greater part of the IMO budget is contributed by developing countries. 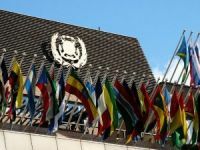 When IMO was formed, the Member States agreed to pay for the Organization's budget principally according to the size of each country's merchant shipping fleet. Because of the changes that have occurred in the sector over the last 30 years, in particular the introduction of the open registry system, this means that some of the biggest contributions to the budget are now drawn from countries such as Panama, Liberia and the Bahamas, as these are currently the countries with the world's largest registered fleets. Over its fifty years of operations, IMO's membership has risen to 167 Member States and three Associate members, which includes virtually all the nations of the world with an interest in maritime affairs, be they involved in the shipping industry or coastal states with an interest in protecting their marine environment. In addition, several land-locked countries (with an interest in inland - rivers and lakes - navigation) are also Members of IMO. 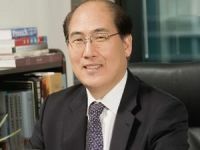 * June will see the 100th meeting of the IMO Council, the executive organ of the Organization, which is responsible, under the IMO Assembly, for supervising the work of the Organization between sessions of the latter. These occasions will be celebrated in a series of events coinciding with the week-long 100th session of the Council, from 16 to 20 June.